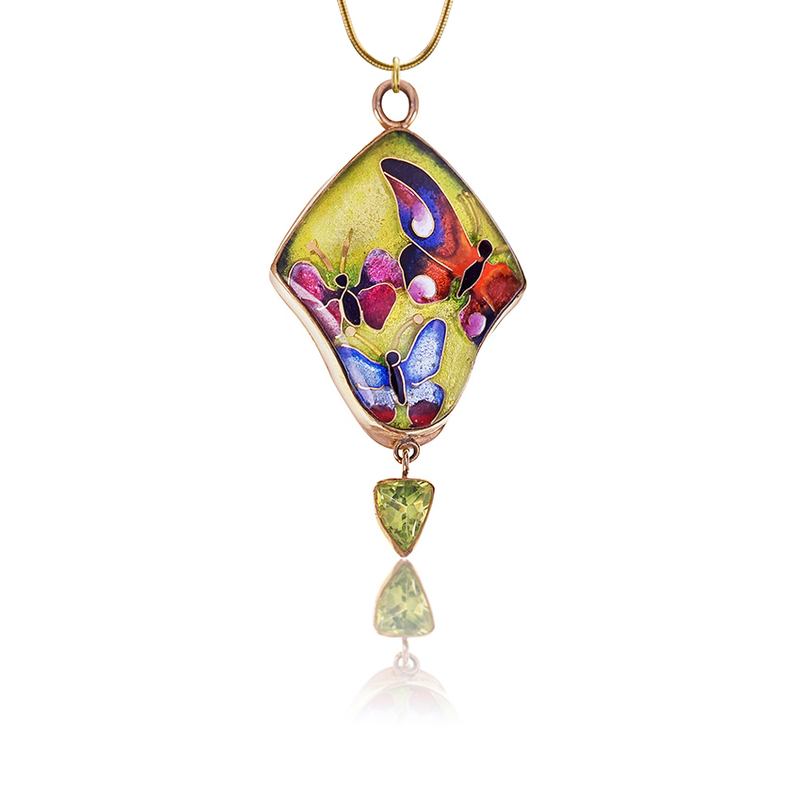 Soleil Pendant is a cloisonne jewelry piece created by Patsy Croft. They belong to Holiday collection of amazing enamel jewelry with unique jewelry designs. care of it, and know I will enjoy wearing it. Butterflies are my favorite. It has such depth and the colors are wonderful. You are so talented. Thank you for sharing a part of your story and your talent with me. Several people at work call me Sunshine. They say I smile all the time and that is why they call me sunshine. How neat that your childhood name was Sunshine. Cloisonne enamel pendant, another smiling client!